Bibs are always and without exception meant to be pink. That includes when there are no clean pink bibs available. ‘How can I make it any simpler for you Pappa? All other colours are deeply offensive and morally abhorrent; I don’t care if you have to go on a 10 minute search around the house. Bibs can only be pink!’… Unless you offer milk with the green top instead of the blue. Then bibs should be orange. Forgiveness is nonsense. An angry kid drove their toy bike into Little Bear’s car at softplay the other day. Little Bear didn’t stop at telling the kid off. He followed them around informing the kid of their misdemeanour. After a couple of minutes of riding their bike away from Little Bear, they finally dropped the bike and began to run away from the pursuing toddler (whilst looking over their shoulder and an increasingly angry Little Bear driving towards them). Diving into the tunnel, Little Bear crashed his car into the entrance whilst continuing his incensed tirade at the poor kid. Couldn’t he just let it go? No, because that’s not how toddler justice works. (He definitely gets his ability to hold grudges from his mamma. She still brings up the one occasion I dropped her by mistake… 13 years ago). Every toddler knows that other kids should wait for their turn. Little Bear has made kids twice his age cry when he spots them jumping a queue. Waiting to climb up the first rung of the ladder to slide in the playground, the occasional (naïve) older child has tried to squeeze in ahead of him. In outrage he holds their shoulder and shouts ‘Oh, dear, oh, dear, it’s impossible, no no, poor me’, until they burst into tears and run away… As a confused parent, I’m not sure how to react to this but Little Bear is confident in delivering justice. Of course, the very next day he’s just as likely to see a long queue that he doesn’t want to join. But central to the toddler’s innate understanding of Justice is that there’s no such thing as hypocrisy. So Pappa gets told off for being the ‘impossible’ one for stopping him queue jumping. 3: Possession is 10 tenths of the law. Whatever is mine is mine. The first pronoun kids learn to use properly is ‘mine’. If a toy is theirs, then it’s theirs. Doesn’t matter if they haven’t used it for months or showed no interest in it until another kid picks it up. At that moment, they toy is theirs. Importantly, it’s also theirs if it technically belongs to the other kid. This rule is amplified if a nap was missed earlier in the day. Adults have seriously misunderstood Justice when we think there’s a right or wrong that doesn’t relate to ownership. Only to move on to the next parent when he’s done. It’s only fair because it’s all his anyway. That’s toddler Justice. (I’m told this attitude continues well into adolescence and beyond). Bargaining with toddlers can be a complete game-changer for parents. The moment Little Bear understood ‘if you do this, then we can do what you want’, our time together was revolutionised. I’ll admit, this can get out of control, to the point where I have on occasion committed myself to travelling the length of London on the tube near rush-hour with a spoon taped to my t-shirt because I wanted to change his nappy without him complaining. But it is still a lifesaver. However, if you’re not able to deliver on your side of the bargain, then clearly a major injustice has been done. ‘We couldn’t take the train today, it’s closed’, or ‘Oops, I forgot, we can’t see your friends, because they’re in Australia this week’. Cue (fairly justified) meltdown. The world is a fair and balanced place when your toddler has access to Netflix or YouTube on your phone. Take it away, especially in the middle of an episode of Peppa Pig, and you’ll soon realise you’ve committed a terrible sin. Should have bargained a time-limit in there when you had a chance, because without one, you’ve essentially told them they can continue to watch YouTube for the rest of their lives. Take it away at your peril. Arguably one of the worst offences under toddler Justice, save for queue jumping. So whilst adults are struggling to decide what’s right, wrong or just about the world, let’s remember that toddlers have already sorted the problem. They’re just frustrated we haven’t quite caught up with them yet. Stick to the rules, and you wont be accused of being ‘impossible’. So many are sitting reading this, nodding along and smiling in agreement. Brilliant read! Thanks for sharing with #TriumphantTales. 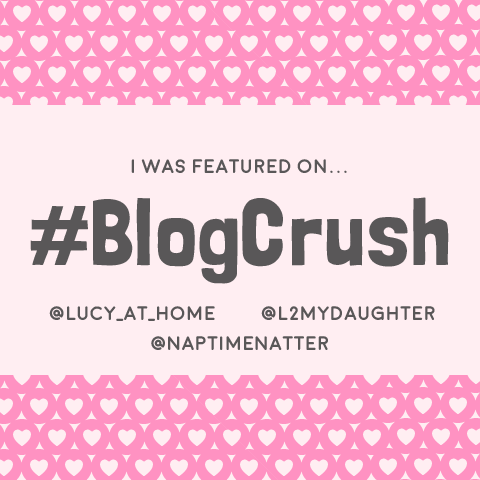 I just #BlogCrush -ed you! TY Dave! Brilliantly funny post and so true! If people ever wish to argu about relativity in morals, all you need to do is bring in a two year old, who has it all sorted. 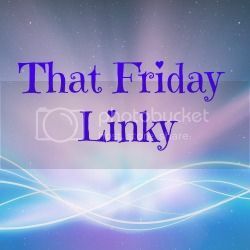 Congrats for having your post chosen by another blogger to be featured on the #blogcrush linky, feel free to pop across and grab your 'I've been featured' badge.